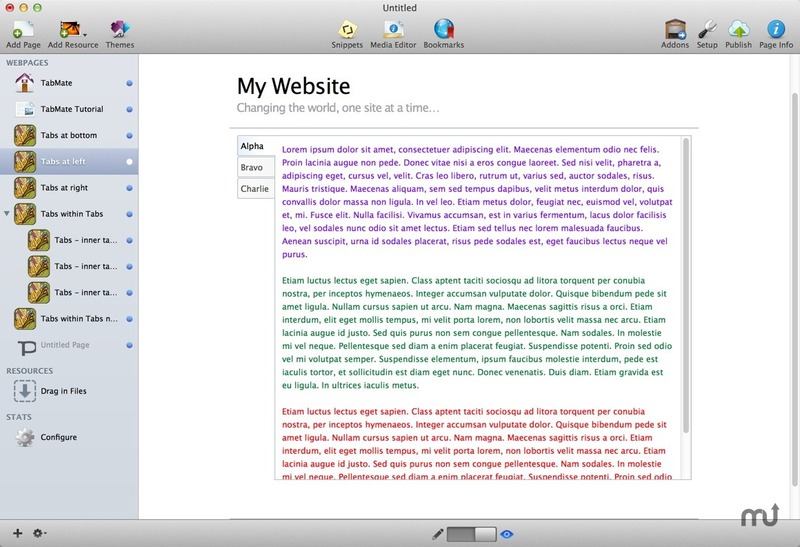 Rapidweaver plugin allows you to easily create Web pages with tabs. Is there a better alternative to TabMate? Is TabMate really the best app in HTML category? 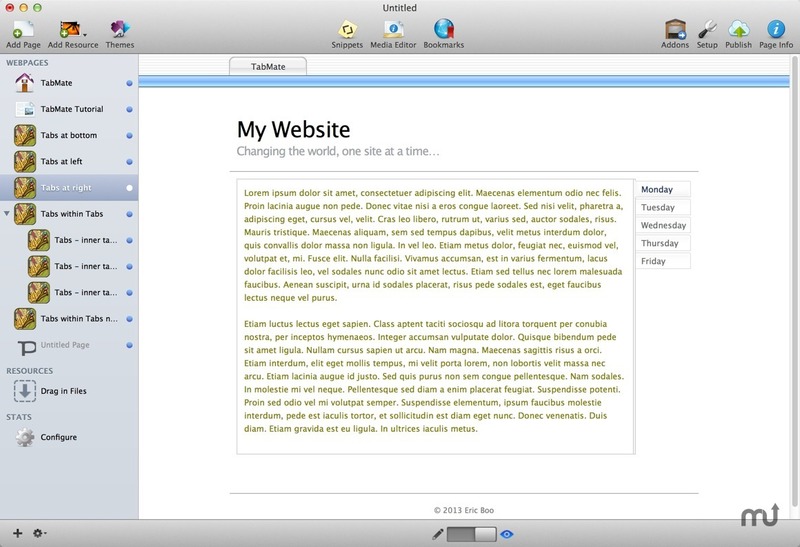 Will TabMate work good on macOS 10.13.4? 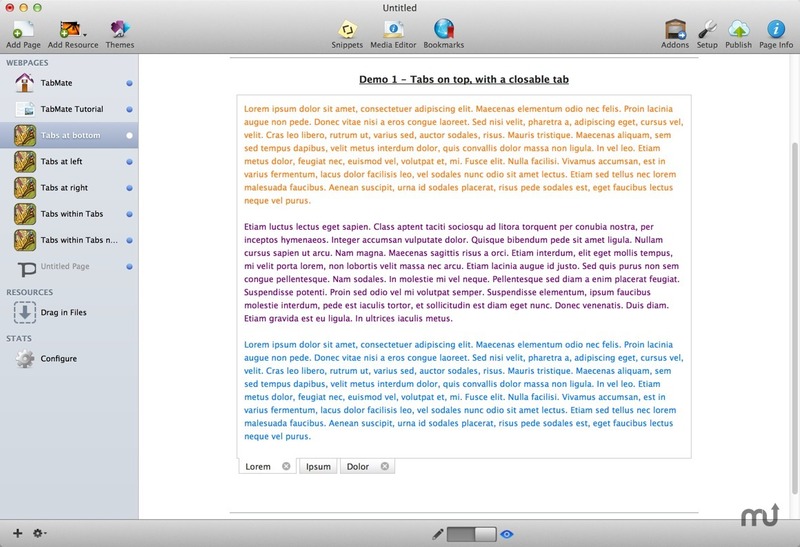 TabMate is a Rapidweaver plugin that allows you to easily create Web pages with tabs. 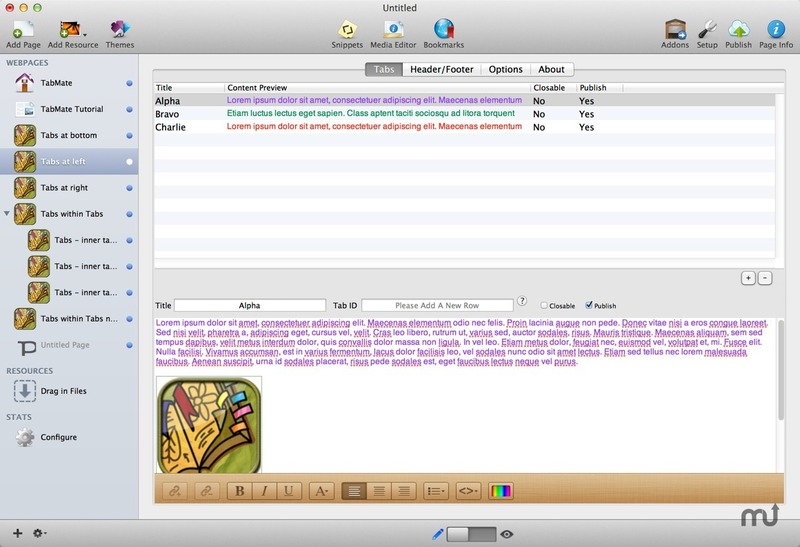 With tabs, you can organize your content in a neat and accessible manner. Version 1.7.5: Release notes were unavailable when this listing was updated.